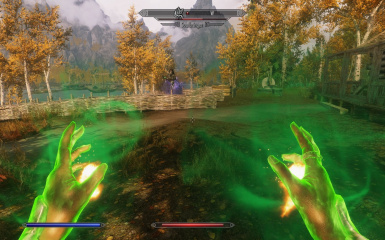 This Mod transforms the Wilderness into a Battle Arena. 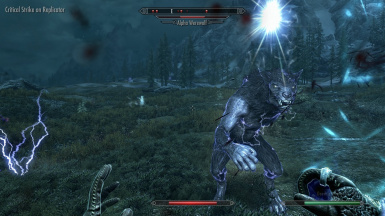 Tough variants of creatures, with new looks and abilities, are designed to make high-level players fight to survive. 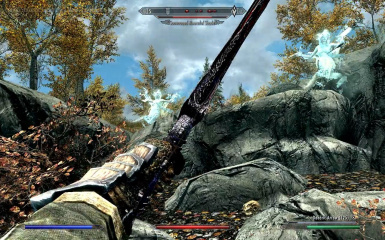 With randomly selected weapons, monsters are always slightly different. 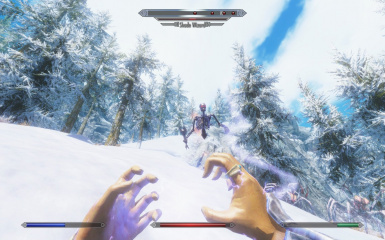 With optional Combat Guide, and less spawns versions. 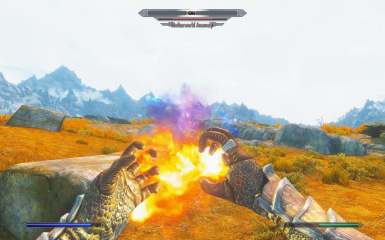 And with 4 cool new Spells, this Mod is a blast! 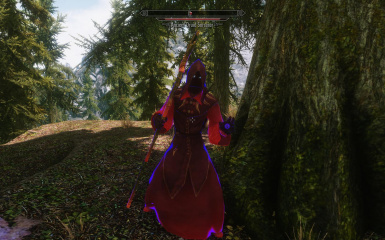 - Fixed a bug that kept the Stealth Assassin Cloak visible after death. 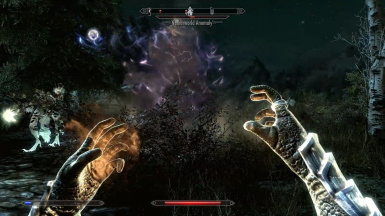 - Put more Potions in the Phantasm's Inventory. 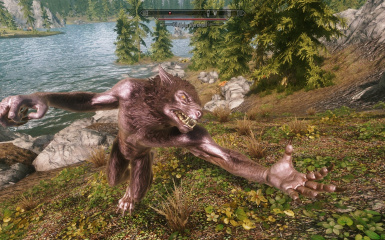 - Did a little tweaking to the spawn rates of some of the monsters. 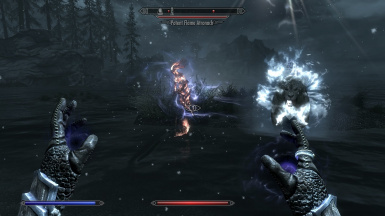 - Made all of the Mod's conjured monsters immune to paralysis. 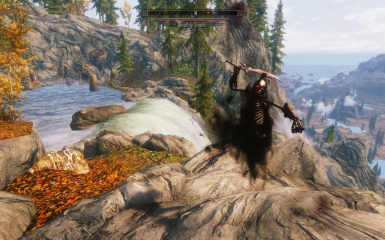 - Removed the "Waterwalking" Ability from the Netherworld Anomaly. 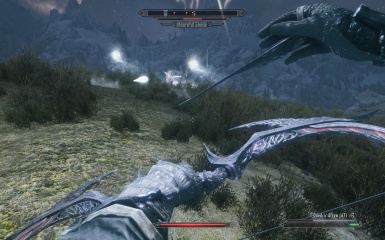 permanently knocked off of them (which happens in Vanilla Skyrim, as well). 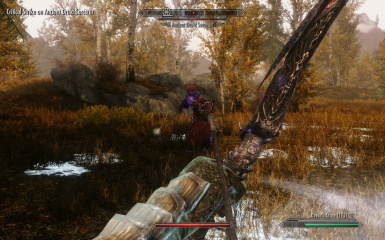 To Level 50", which mnay of the Mod's NPCs will sometimes have to be looted. 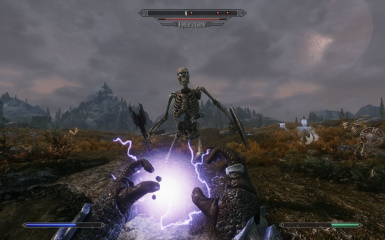 Reanimated Dead can be controlled by the Player. 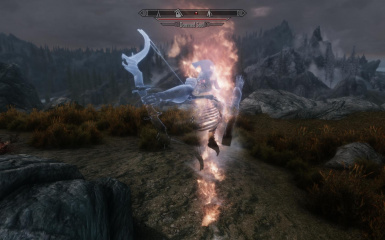 To keep the Vanilla game's "Twin Souls"
will be available to be reanimated again. 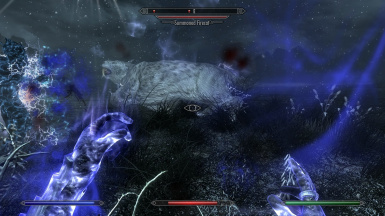 the resulting Thrall to remain on the spot, unable to move, sometimes walking in place. 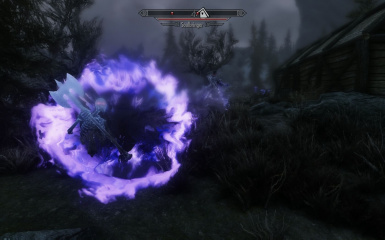 all "Netherworld Anomaly" spawns, making this the one with the least intense combat. 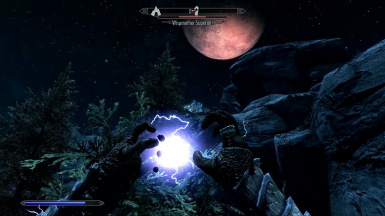 sometimes be seen, but not once after, so it appears to be fixed. 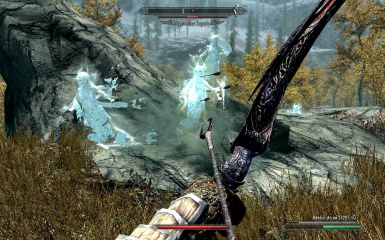 but a large number of them is still possible. 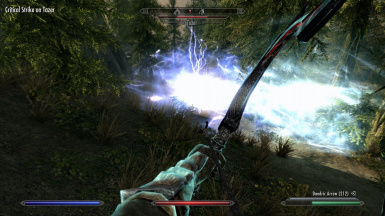 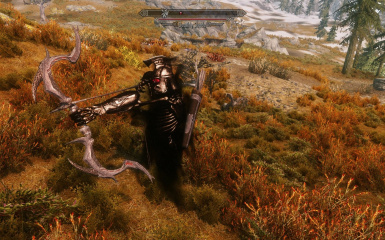 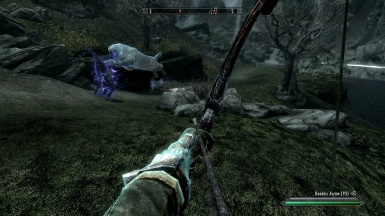 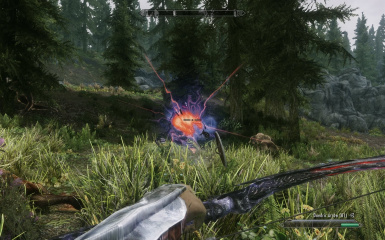 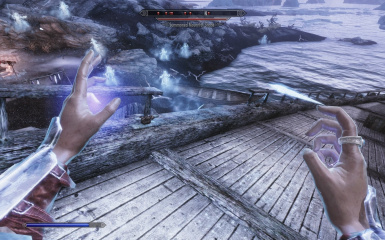 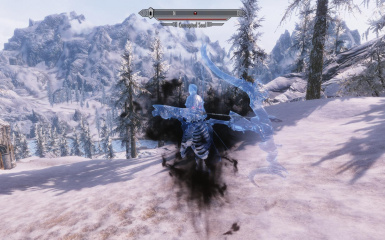 powerful One-Handed Daedric or Ebony Frost weapon. 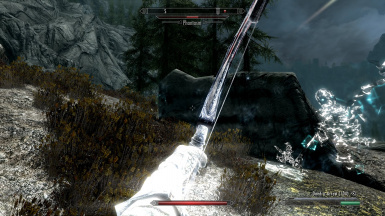 completely for a short time, then fade back in. 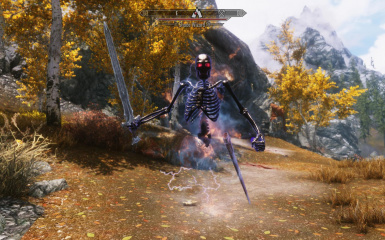 - Fixed a bug where the "Command Daedra" Spell, when used by added NPCs that could "steal"
configurations where the bug might occur. 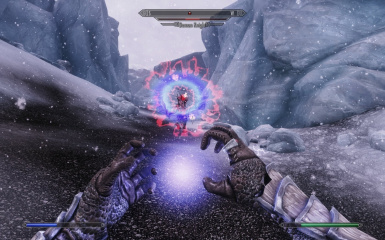 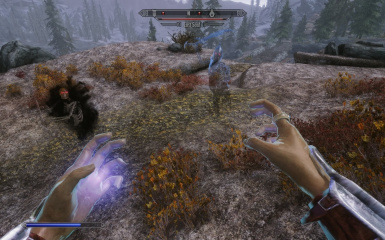 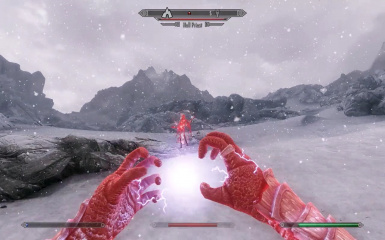 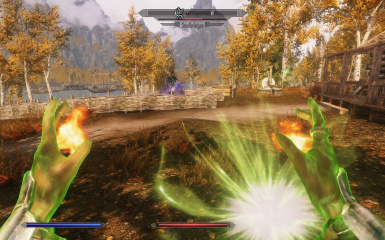 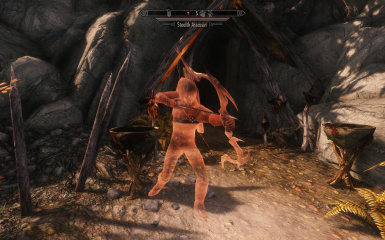 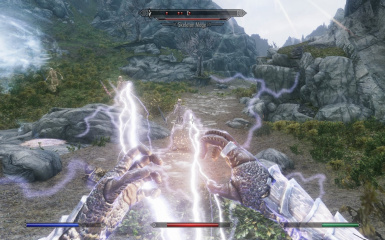 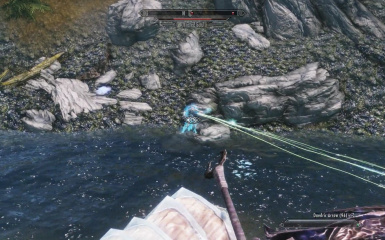 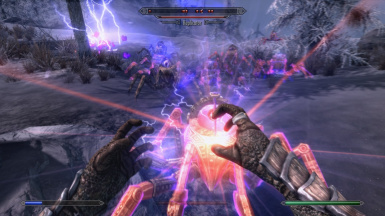 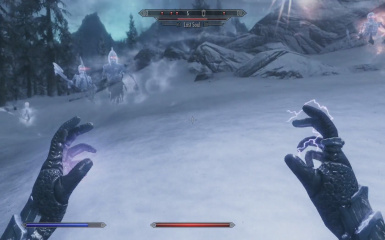 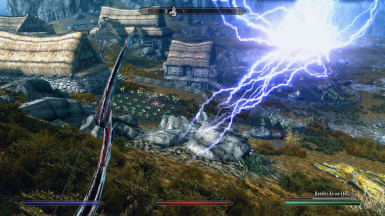 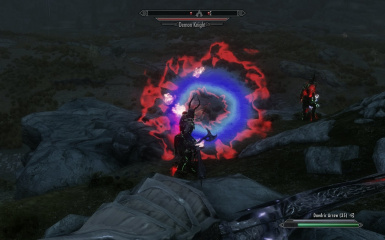 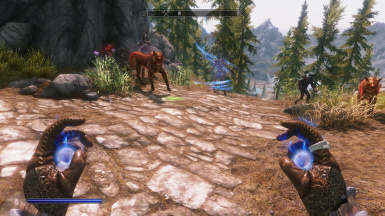 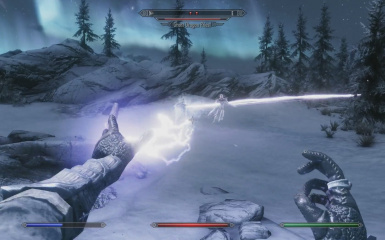 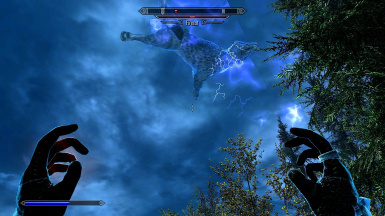 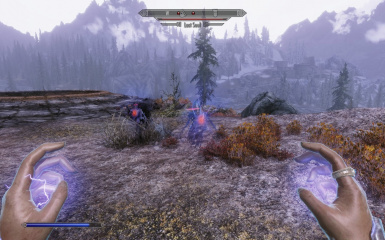 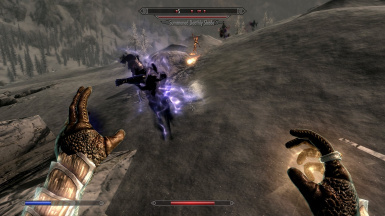 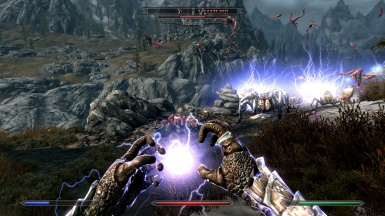 using the "Command Daedra" Spell. 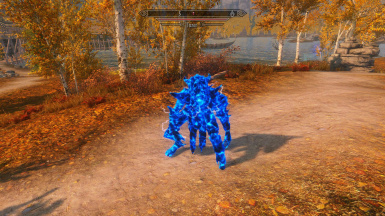 to be more visible and cooler-looking. 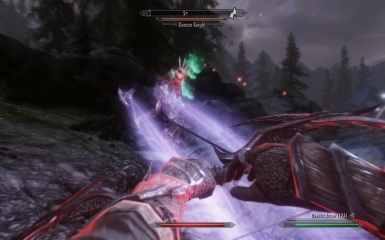 weapons or shouts if both the Dragonborn and Dawnguard DLCs were loaded. 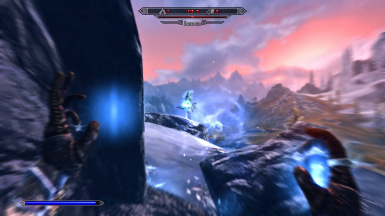 version number the same as MoreDangerousEnemiesSE for Skyrim SE. 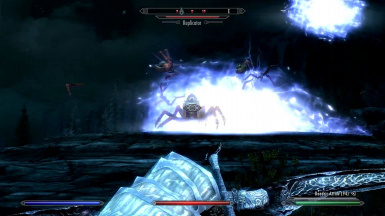 - Made Shade Wizard-Summoned Undead Spiders controllable with the "Command Daedra" Spell. 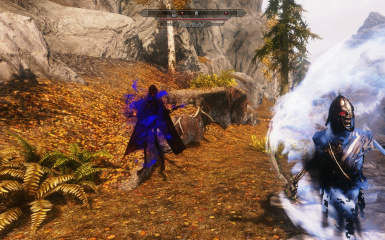 - Shade Master now uses a wider range of spells. 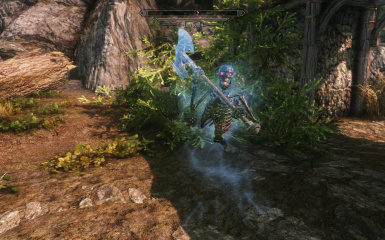 - Assigned new cool-looking projectiles to both Demon Knights. 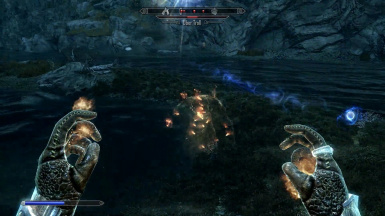 - Unsummoned versions the Undead Spider and Wisp are now spawned. 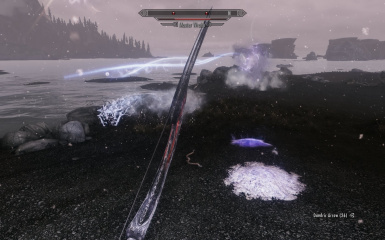 - Reduced the Wispmother Superior's likelyhood of a ridiculous number of "cloned"
Mournful Shades, but a large number of them is still possible. 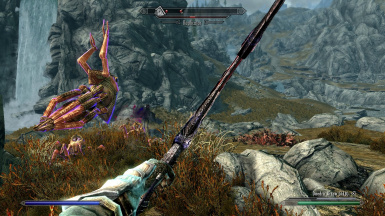 around as if they are looking for a fight. 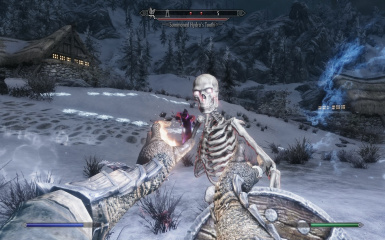 - Renamed the Skeleton Mages to "Fire, Frost, and Storm Skeleton Mage". 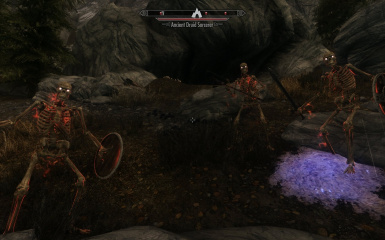 - Renamed the Soulbringers to "Afflicted, Damned, and Lost Soulbringer". 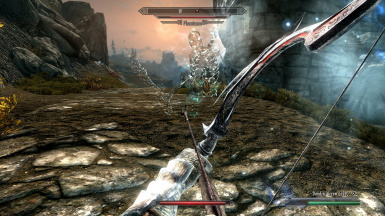 - Renamed the Stealth Assassins to "Flame, Frost, and Shock Stealth Assassin". 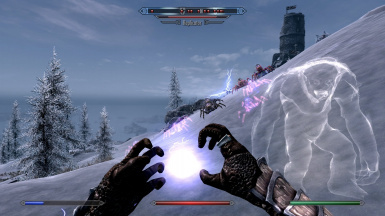 - Renamed the Giant Spider with the white highlighting to "Giant Snow Frostbite Spider". 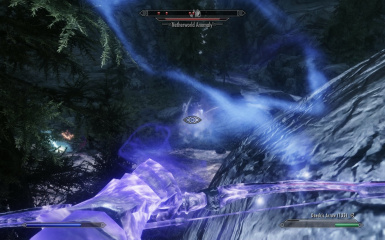 some turn different cool, "ethereal" colors. 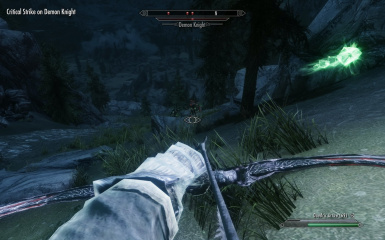 Mournful Shade or Summoned Mournful Shade gets hit by an arrow. 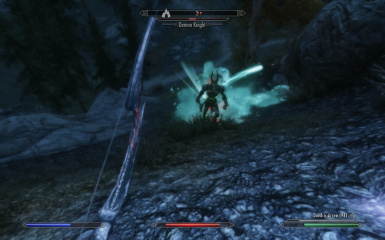 Demon Knight(2 variants), Summoned Wisp, and Stealth Assassin(3 variants). 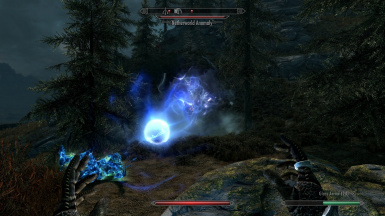 - Added 2 new variants of the Shade Wizard with different Shouts and Spells. 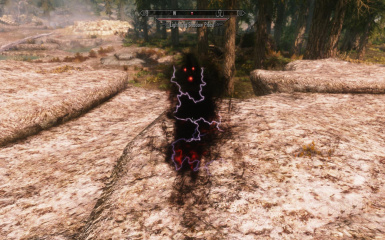 Player, begin stalking him or her. 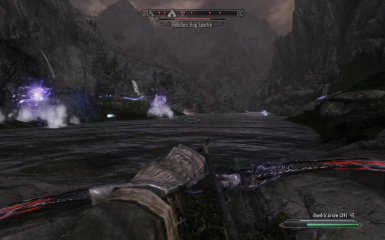 including bows. 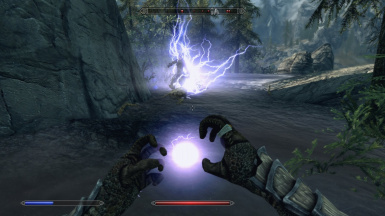 Resistance to Magic is about the same. 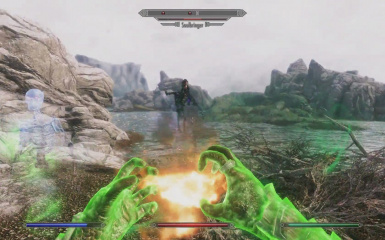 - Increased the variety and strength of the one and two-handed weapons. 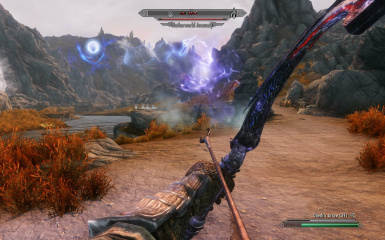 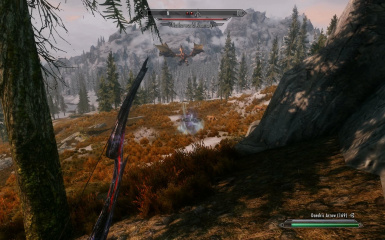 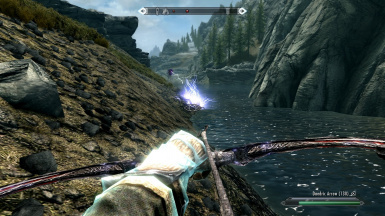 - Increased the variety and strength of the bows and arrows. 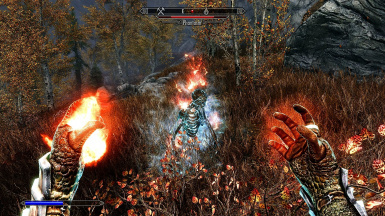 - Increased the movement speed and the resistance to fire of the Uber Troll. 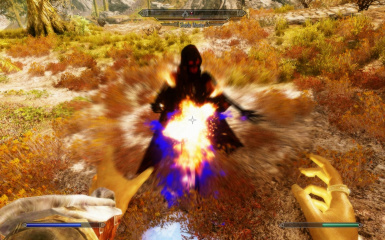 - Gave the King Rat the ability to Regen Health in combat. 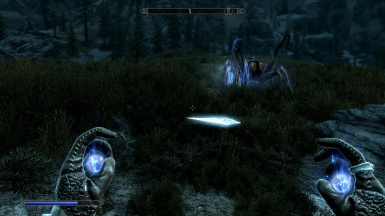 - Increased the size of the Undead Spider slightly. 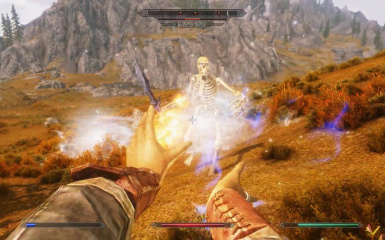 the Boneman, the Mournful Shade, the Wispmother Superior, and the Shade Wizard. 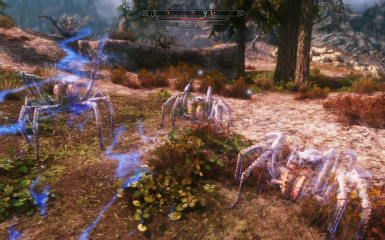 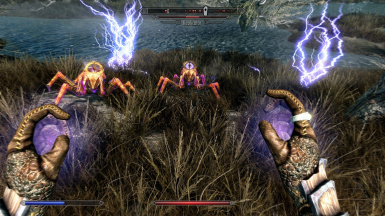 - Decreased the strength of all added Summoned NPCs except Undead Spiders. 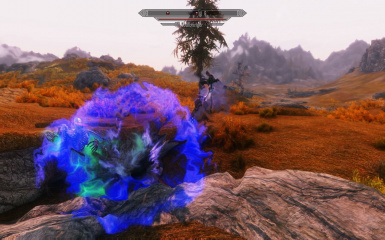 - Changed the Afflicted Soulbringer Spells to match the Afflicted Soul Poison Attack. 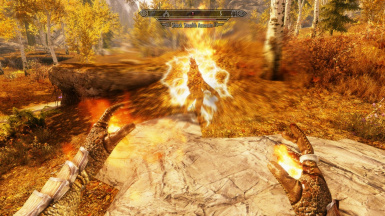 - Gave the Damned Soulbringer the Fireball Spell instead of Firebolt. 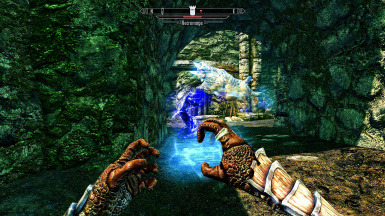 - Gave all the non-summoned Souls some "Brief Invisibility" Potions. 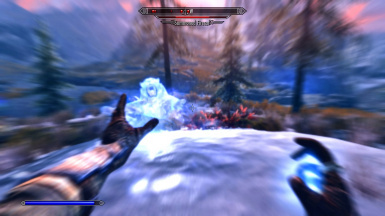 - Made the ghostly Souls slightly less transparent. 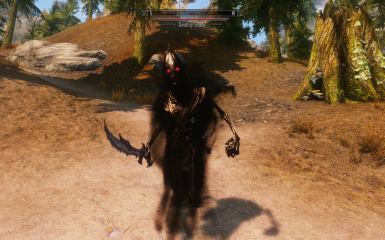 - Enhanced the Corruption Effect on the Corrupted Souls. 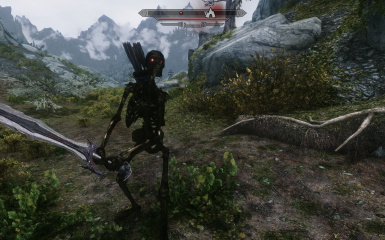 - Made more of the added NPCs vulnerable to being paralyzed. 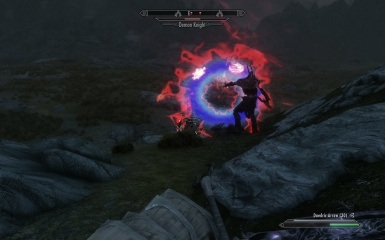 can also do this even though he does not conjure his own. 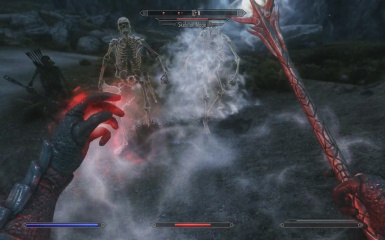 30 seconds, including the scattered bones of Skeletons. 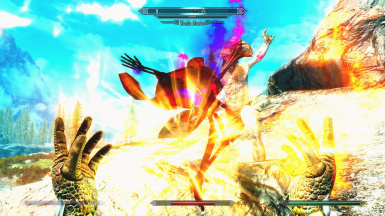 - The Wispmother Superior now summons Mournful Shades rather than regular Shades. 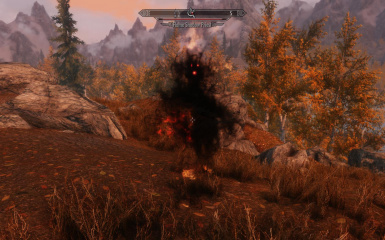 - The Mournful Shade now summons Wisps. 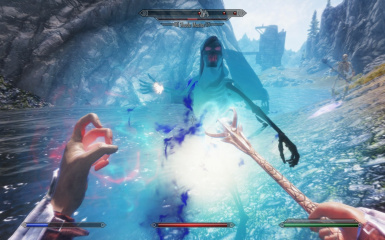 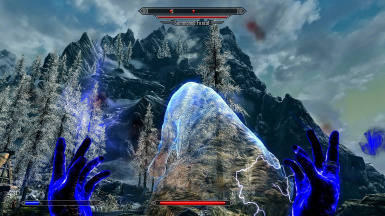 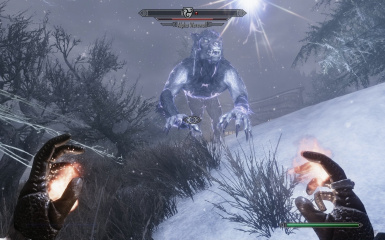 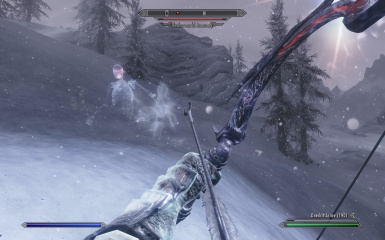 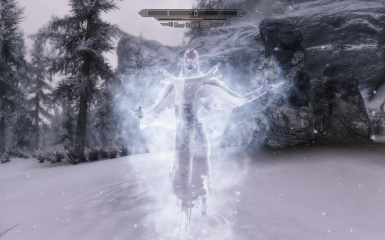 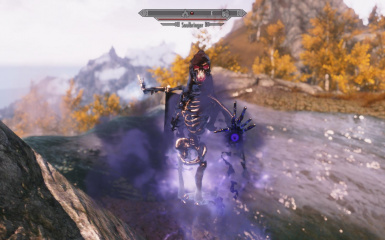 - The Ghost Dragon Priest now summons a Master Wraith rather than a Frost Atronach. 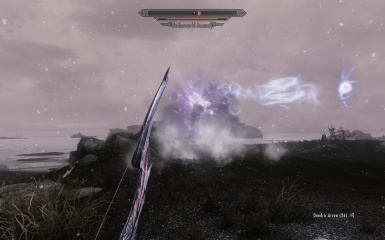 - Fixed the problem of the Ghost Dragon Priest not using the Conjure Spell. 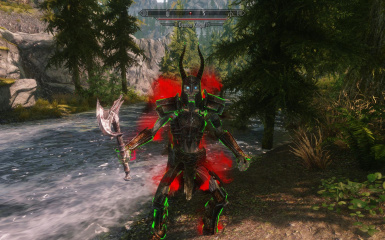 and reinstated the red highlights on the Damned Soulbringer. 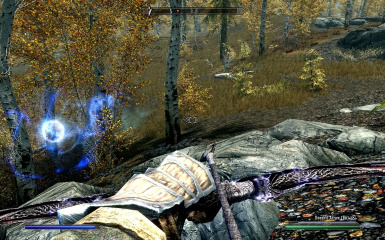 added NPC gets hit by an arrow. 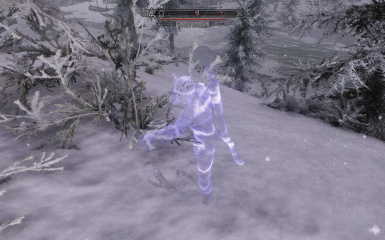 - Fixed the problem of some added NPCs not coming out of being paralyzed. 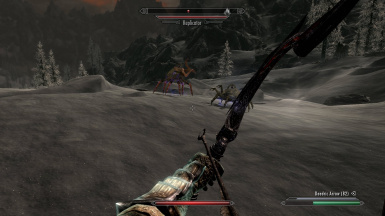 - Removed the annoying "hissing" noise the Undead Spiders were making. 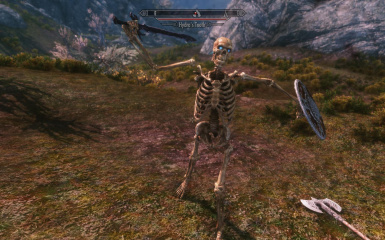 Skeleton(2 variants), and Hydra's Tooth Skeleton(two-handed melee) NPCs. 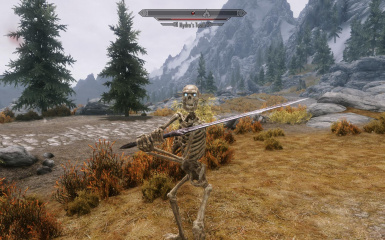 - Disallowed any added NPCs going to one knee when health is very low. 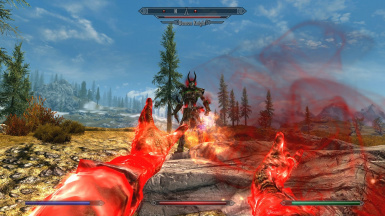 - Changed Hell Priest attacks to more "red-themed". 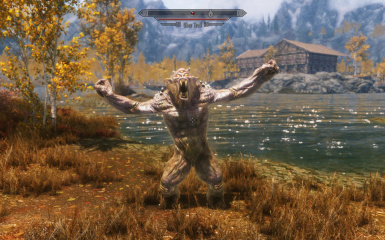 - Removed Wild Mammoth from the altered random spawn lists. 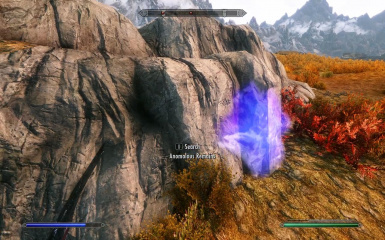 entries in the Wilderness World Space Cells using the exact same spawn points. 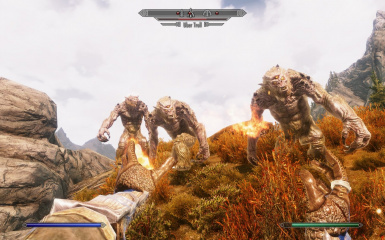 unless they use the same spawn points the game uses for the Leveled Actors. 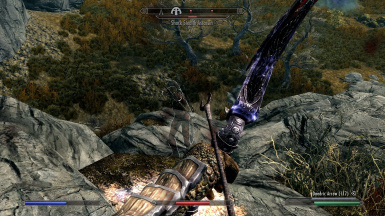 than nearly everyone fighting everyone else. 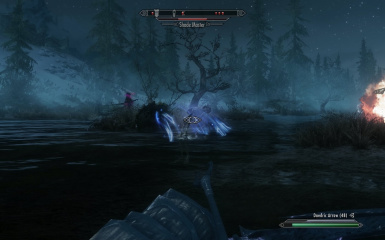 games, resulting in sometimes spawning NPCs frozen in a standing pose. 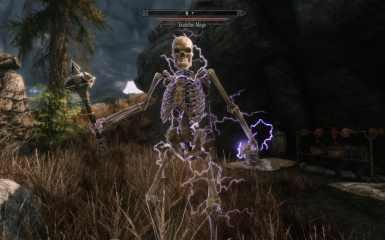 leaves bones when he dies. 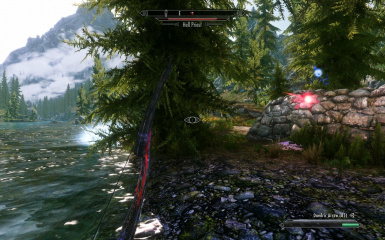 red glowing eyes. 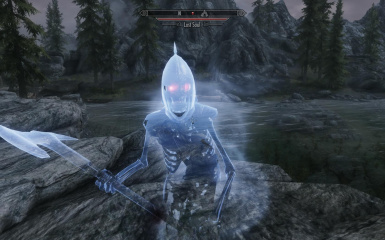 Frost Skeleton Mage eyes unchanged. 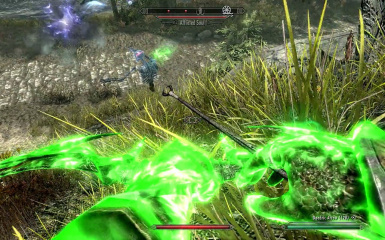 - Made Afflicted Soul's swirly green effect constantly damaging. 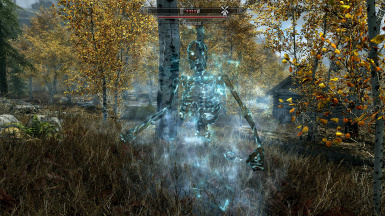 - Made Afflicted, Damned, Corrupted, and Lost Souls more transparent. 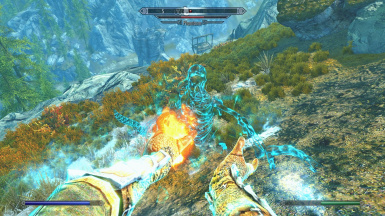 - Made Ghost Dragon Priest more transparent. 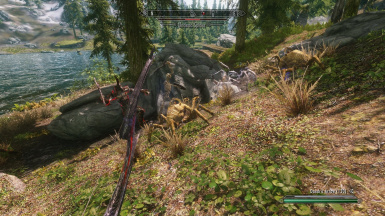 and Deer. 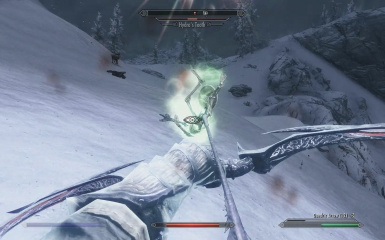 This was done by modifying the following "Leveled Character"
- Changed the name of the "Dragon's Tooth" Skeleton to "Hydra's Tooth". 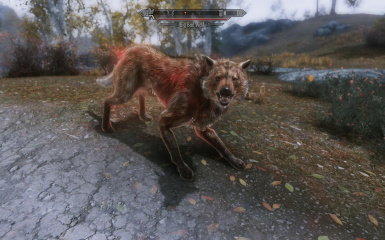 eliminate an overabundance of Fox and Snow Fox spawns. 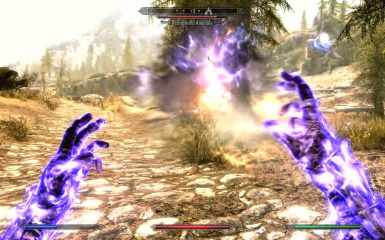 - Gave Shadow Priests more "shadow". 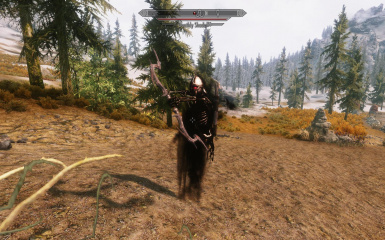 Uber Troll, and Undead Spider NPCs. 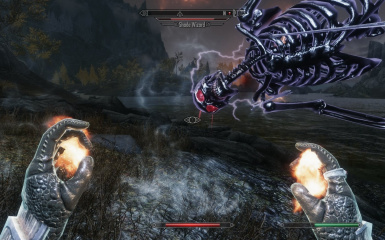 - Improved loot drops of dead enemies. 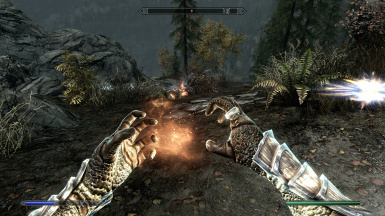 - Made changes to get some NPCs to use all of their spells. 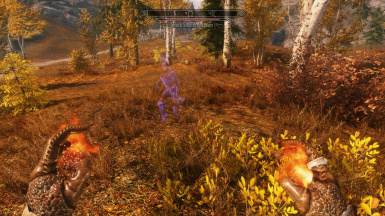 leaving bodies or Ash Piles, or an NPC leaving two Ash Piles. 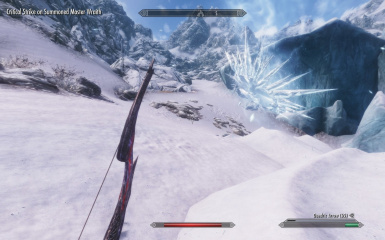 (was 240), iHoursToRespawnCellCleared - Set to 8(was 720). 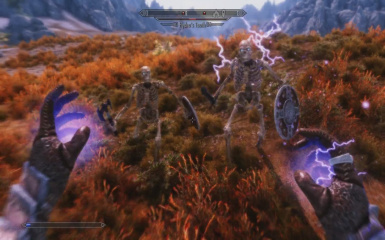 Skeleton Mage(3 variants), Spriggan Elder, and Wispmother Superior NPCs. 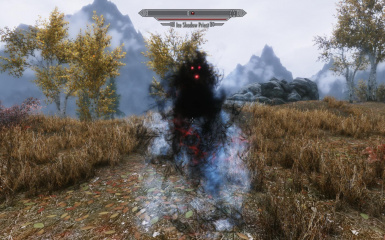 Spriggans, Trolls, Werewolves, Wisps, Wizards, Wolves, Wraith, etc. 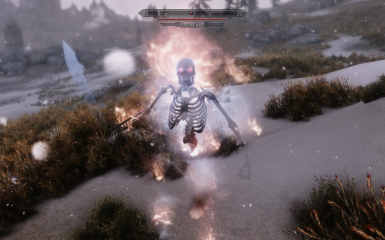 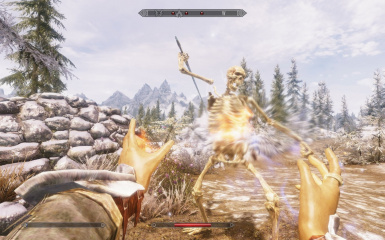 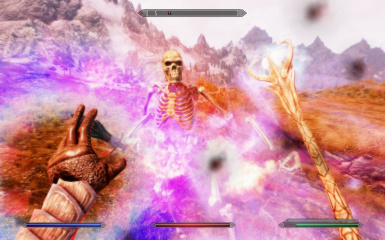 Boneman Skeletons, and Frost, Fire, and Storm Skeleton Mages are attacking. 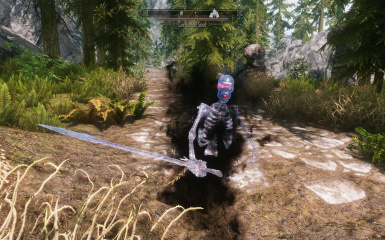 numbers of enemies will be encountered! 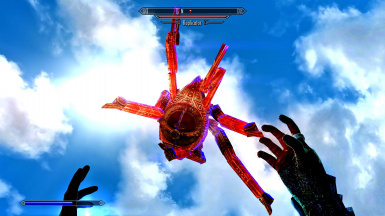 Extract MoreDangerousEnemies2_6.7z to your Skyrim install directory. 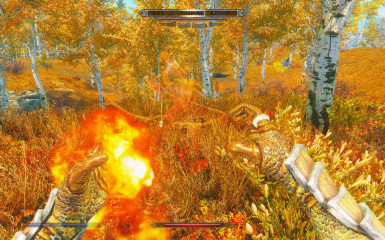 The MoreDangerousEnemies.txt file will extract to the Skyrim install directory. 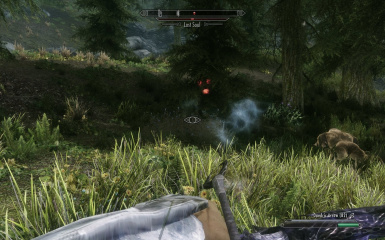 the random spawn lists for the Skyrim Wilderness. 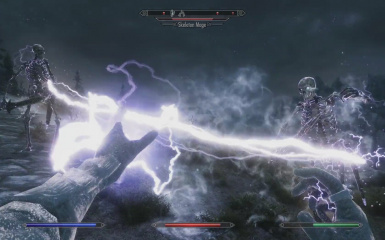 "Force Push" is similar to the third Level of the "Unrelenting Force" Shout. 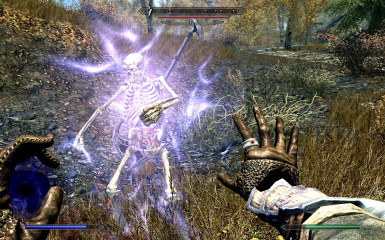 It "pushes"
farther, does more damage, and takes more Magicka if Dual-Cast. 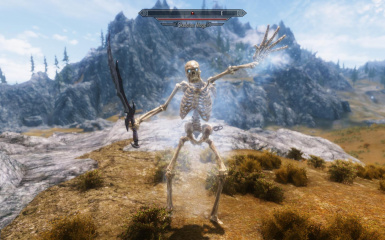 the Actor you are tossing around, including sometimes taking their entire health bar. 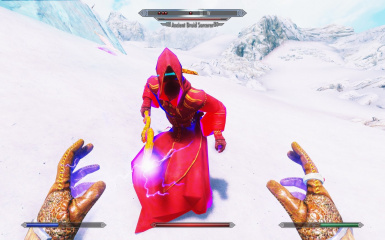 Changes are unacceptable, then don't use "Force Pull". 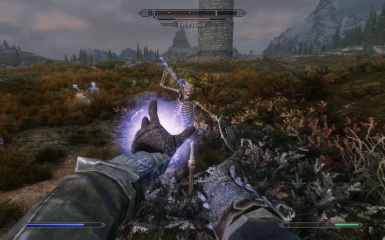 things have been noticed in Gameplay when using "Force Pull", but "Vampiric Grip"
place" bug that occurs when dying under Paralysis, or they may just stand still. 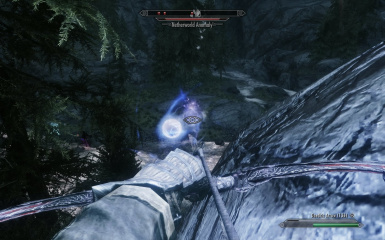 sometimes have one or both Spells to be looted. 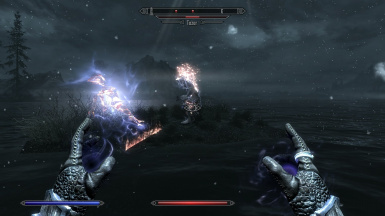 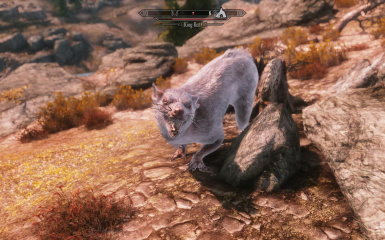 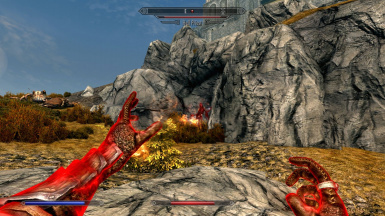 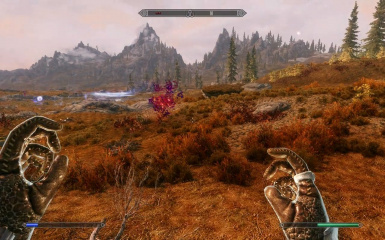 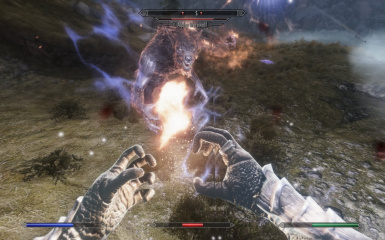 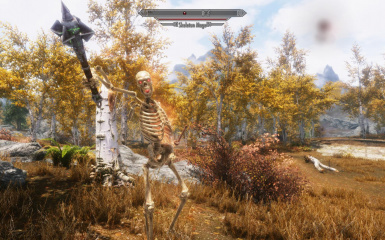 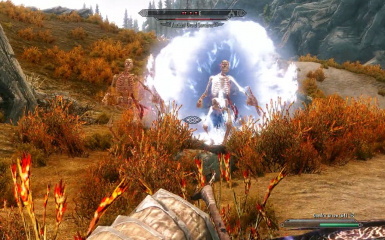 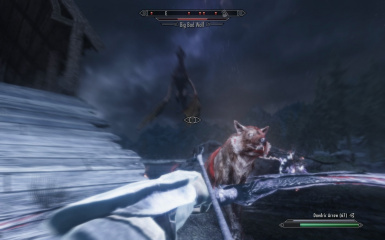 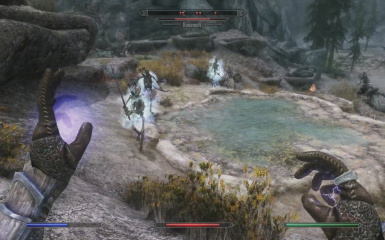 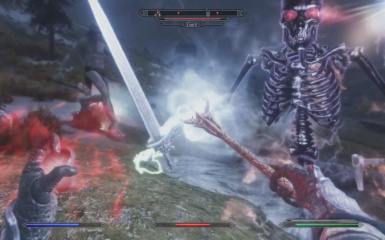 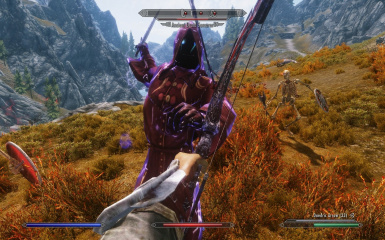 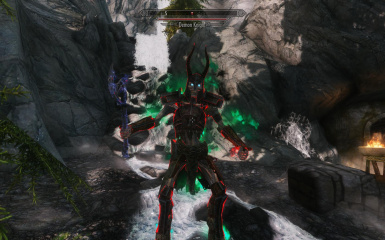 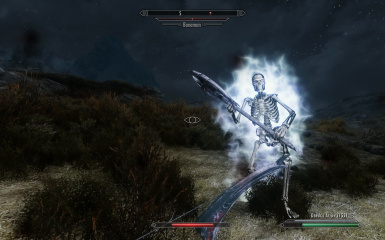 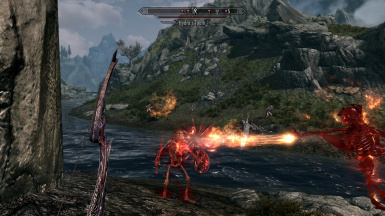 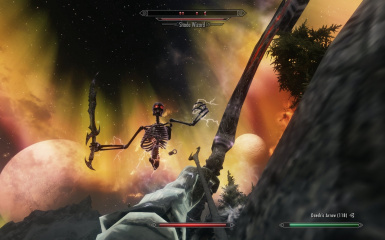 To Level 50", which many of the Mod's NPCs will sometimes have to be looted. 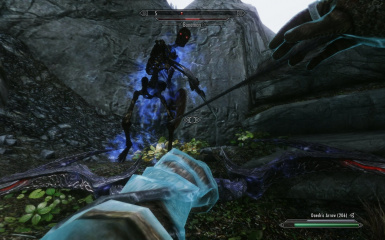 the Boss Hag and the Replicator. 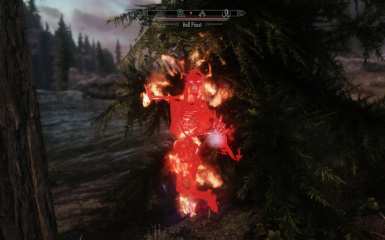 I believe it's because the "Spells" box on the "Combat"
they will still take the heat off you in combat, I have not made them immune to Reanimation. 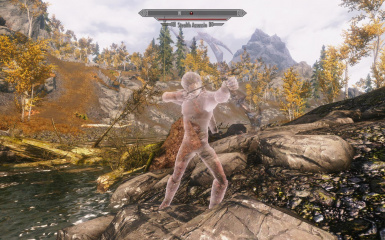 LCharAnimalSnowFields to place the added NPCs into the Skyrim Wilderness.